Prakash Bharti: a shy, self-effacing, spiritually-inclined simpleton from Gangtok; Purvesh Shroff: a cocky, strapping young lad from Mumbai; Richa Malhotra: a sweet, vivacious girl from Bangalore; Anand Kumar Rajput: a mysterious, enigmatic personality from Jharkhand. 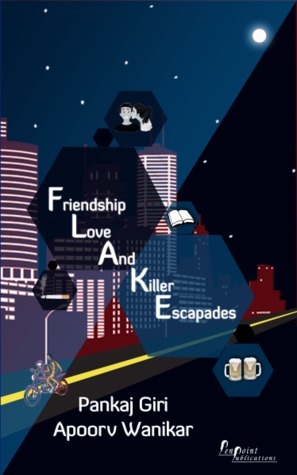 Friendship, Love and Killer Escapades (FLAKE) is a captivating story, primarily revolving around four protagonists pursuing engineering courses in a run-of-the-mill institute in Bangalore. The story encompasses a unique, intriguing, realistic love plot between Purvesh and Richa, numerous escapades, and thrilling adventures. Throughout the four-year roller-coaster, the academic and personal fortunes of the chief personas fluctuates à la the great Indian stock market! What impact will the inscrutable character, Anand, have in the lives of Prakash and the other protagonists? Will Purvesh and Richa succeed in sustaining their relationship over time? Will Prakash be able to transcend the stage of infatuation and eventually fall in love? What predicaments will Prakash and friends encounter in the academic journey? Read more to find out. Ready, FLAKE, Go! When I was asked to review the book FLAKE - Friendship, Love and Killer Escapades I was really excited. One because the title seemed interesting and second, it was co-authored by someone from Gantok, a place very close to my hometown. Pankaj sent me a pdf version of the book as soon as it was out in the market. This review frankly states what I feel about the book. I understand that the authors have worked hard on the novel and I hope that after reading they will not be disheartened, but work towards weaving better stories in future. I began reading this book sometime early this month. I started with great enthusiasm, but somewhere along the way I was not sure I wanted to complete the novel. Why? To begin with the story is simple and predictable! The authors have woven a story that they felt would appeal to the masses, but in this endeavor they did not realize that the only people who would actually relate to the novel are 18 to 25 year olds who would be just starting college or who have just finished college and can relate to the experiences. Well to think of it .. I guess it is a large enough crowd :) !! Soon I lowered my expectations and continued reading the story, despite the fact that the words used in most parts of the book just did not appeal to me. As a language teacher, the words like – hitherto, anent, ere, ergo and the improper use of some words along with a few grammatical errors just stood out of the page and demanded more of my attention that the story itself. Some of the words used are out of context and difficult to comprehend. In some sentences, the words can be understood from the context, but in others the reader would have to keep a dictionary handy to understand the meaning of the sentence. I wish Pankaj and Apoorv all the best for the future! 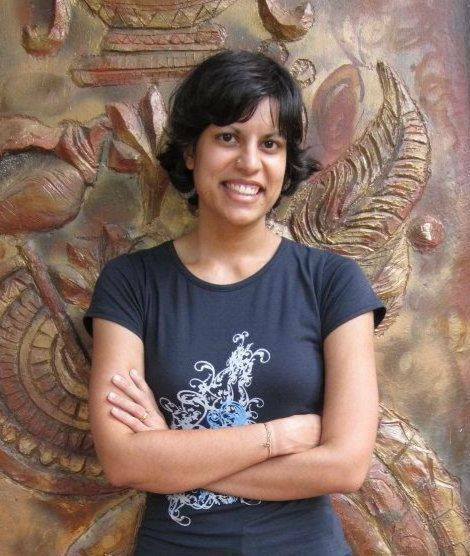 Almost as soon as Devika Fernando could write, she imagined stories and poems. After finishing her education in Germany and returning to her roots in Sri Lanka, she got a chance to turn her passion into her profession. Having lived in Germany and in Sri Lanka with her husband has made her experience the best (and the worst) of two totally different worlds – something that influences her writing. Her trademark is writing sweet, yet deeply emotional romance stories where the characters actually fall in love instead of merely falling in lust. What she loves most about being an author is the chance to create new worlds and send her protagonists on a journey full of ups and downs that will leave them changed. She draws inspiration from everyone and everything in life. Besides being a romance novel author, she works as a self-employed German web content writer, as a translator, and as a faithful servant to all the cats, dogs, fish and birds in her home. When she’s not writing, she’s reading or thinking about writing. Romance Novel Author – How did you choose this particular genre? I think it chose me. ;-) I just always knew that if I’d really finally write a novel, it would be a romance novel. And most of my poems (which I wrote before writing prose) were about love in one way or another. Which of your books is closest to your heart? Why? That’s a bit like asking a mother which of her children she loves most. :D If I have to choose, it would be my latest release, “Saved in Sri Lanka”. It is set in Sri Lanka, and a little of the heroine was modeled after me and inspired from real life (and I won’t say what). What is your next book about? I am currently working on the sequel to my paranormal romance novel “Playing with Fire”. It’s called “Dancing with Fire” and will be Book 2 in the FIRE Trilogy. It’s about fire witch Felicia and ice wizard Joshua meeting another gifted person in Iceland. While Felicia deals with unwanted attraction and struggles to train her magic, they’re facing one catastrophe after the other that might mean the end of the world. Animal lover, content writer, author and translator. How do you find time for yourself? Please tell us a little about your writing routine? Good question. I wish the day had 48 hours... My main job is writing non-fiction, and I work on that from morning until afternoon, with breaks for meals and some housework in between. If I am not totally swamped with work, then I’ll reserve the evening for fiction writing. I always try and write a chapter in one go. I work on Saturdays too, but I usually take Sundays off to read, read, and read. What do you look for in a book? That depends on the genre and the reason why I picked it up in the first place. Generally speaking, the story should pull me in from the first page or chapter. And I want the characters to feel real and to develop over the course of the story. I’m also really fond of a happy ending. I am sure that you have received a lot of reviews about your books...what is the nicest and the most critical review you have received so far? The nicest one was comparing me to the famous author Nora Roberts, who I admire a lot and whose books are a great source of inspiration. The most critical one pointed out that I tend to get so lost in descriptions and details that action is lagging behind a bit. How do you spend your time on weekends? Reading. It’s by far my preferred hobby. But I’ll also watch television with my husband, dedicate more time to my 2 cats and 4 dogs, and write all those messages and e-mails to my friends from around the globe for which I don’t have enough time during the week. If you had one wish, what would you wish for and why? I wish I wouldn’t get motion-sick, so I could travel this beautiful country and the rest of the world. © Copyright Rachna Gupta. Powered by Blogger.